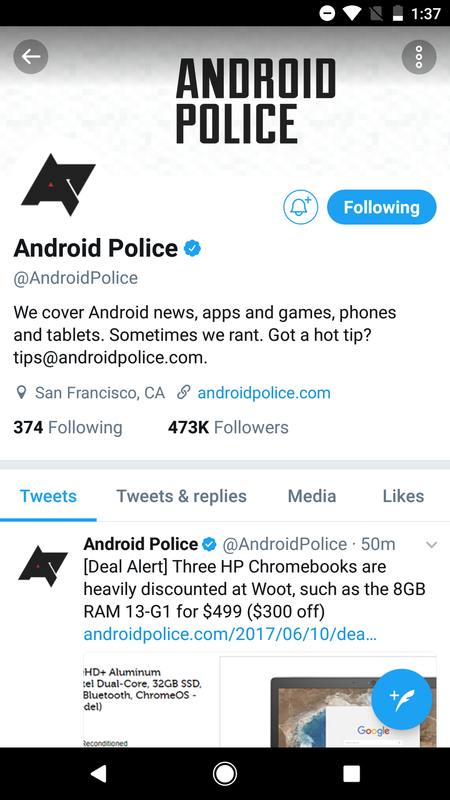 Back in May, the Alpha Twitter app received an updated interface that looked more rounded, with new icons and buttons in tow. Then it reached the Beta branch, with a few more changes. Despite Twitter 7.0 going live a few days ago, the UI changes were part of a server-side update that is rolling out to all users starting today. 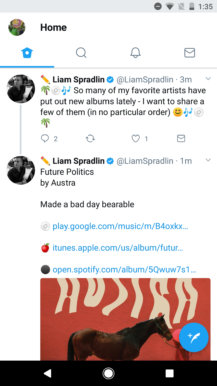 The new interface is rolling out to the mobile Twitter apps, Twitter Lite, and TweetDeck "over the coming days and weeks." 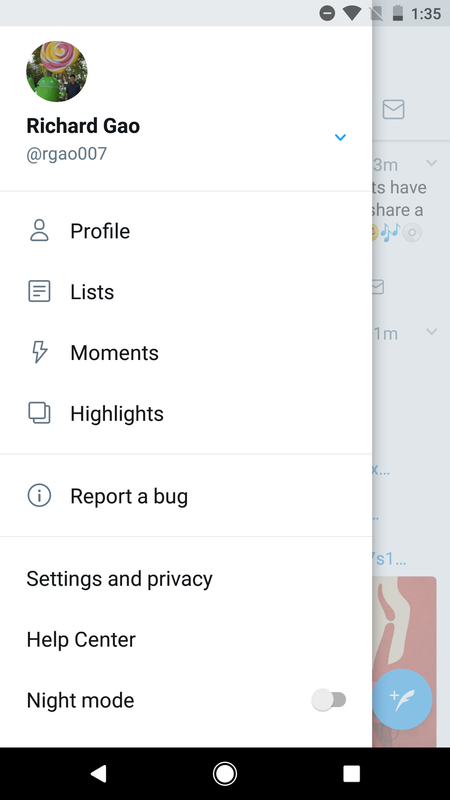 Most of the buttons are now round, the floating action button now has a quill pen icon instead of the standard plus symbol, profile photos are now rounded, and all the icons have been replaced with wireframe ones. There are a few functional changes as well. 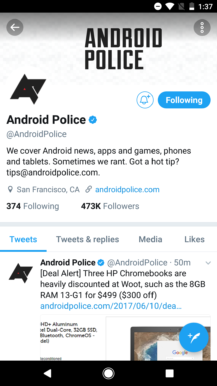 We saw back in April that Twitter was testing live counters for retweets, likes, and replies on the Android app. 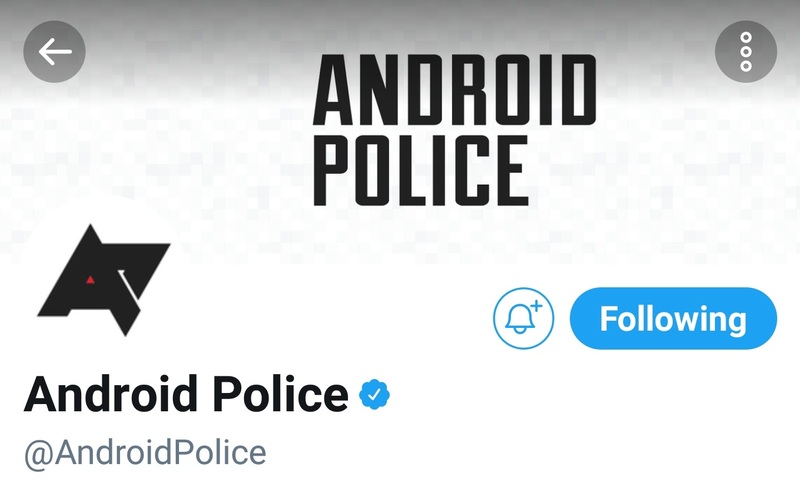 Now that feature is official, but only on the iOS and Android apps (twitter.com and Twitter Lite will not have it). Personally, I don't think Twitter 7.0 is awful, but it does seem like a regression. I don't understand why the profile background was removed from the side panel. Also I really hope there is a way to turn off the live counters - not only are they distracting, but they use more cellular data (probably not very much, but still). The new design is still rolling out to everyone (it hasn't reached me yet), but you'll need to be on Twitter 7.0 to get it, which you can download from the Play Store or APKMirror.